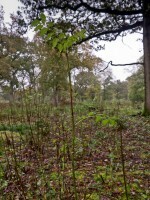 The outbreak of Chalara fraxinea in the British countryside is very major story that cannot have escaped anyone’s notice. Infected sites currently total 115, distributed from SE England, East Anglia and the Midlands, to Scotland, to Wales. 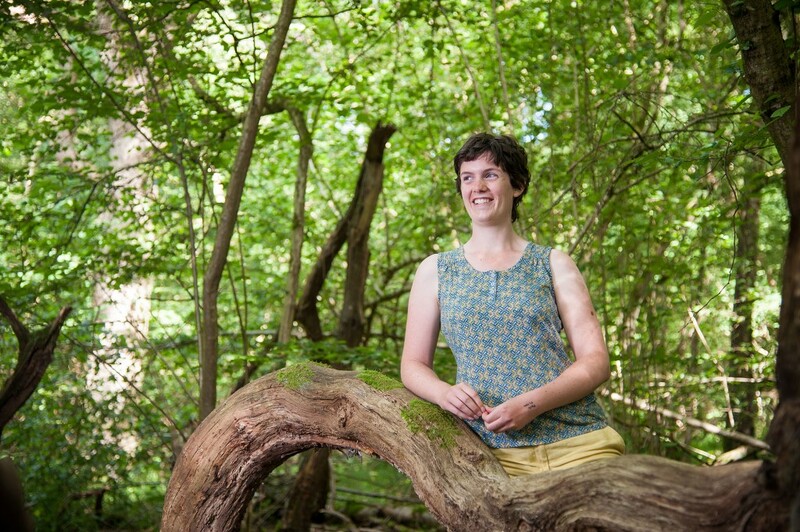 Inspect ash trees in your woodland without delay. Before the winter winds remove all leaves, those infected by Chalara can be quite obvious in that they persist after those that drop as usual in the Autumn (see image). On young trees, coppice regrowth or other regeneration the lesions can be quite easy to spot. On older wood they are less clear. Dieback in the canopy may be possible to spot during the dormant season but it is easy to miss. 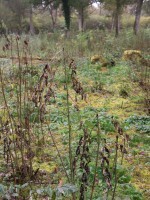 If you believe that you have Chalara fraxinea in your woodland contact the Forestry Commission without delay. 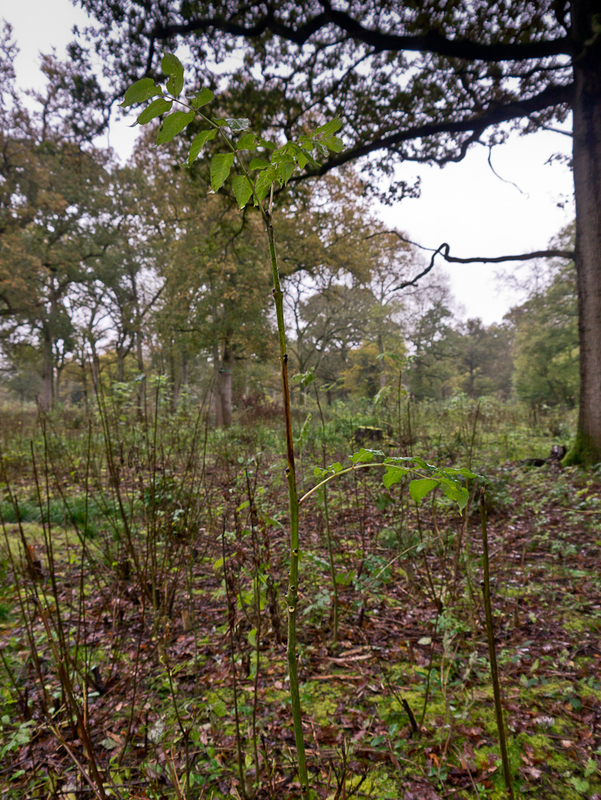 The Forestry Commission are treating C. fraxinea as a ‘quarantine’ plant pathogen, which means that they may use emergency powers to contain or eradicate it when it is found. 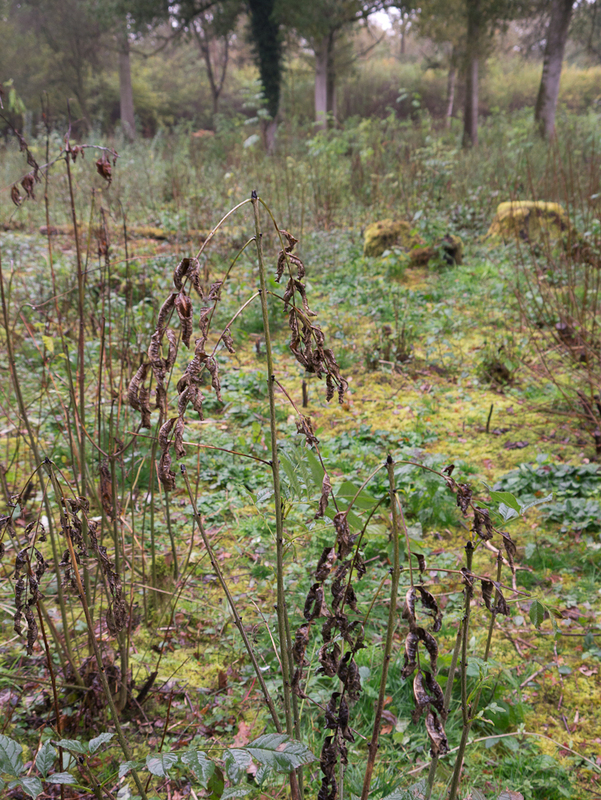 This is being done in the form of Statutory Plant Health Notices which they serve on affected owners requiring them to remove and destroy affected plants by burning or deep burial on site. This situation may change in time. Where possible implement rigorous biosecurity measures. Follow the advice of the Forestry Commission’s Biosecurity Measures. 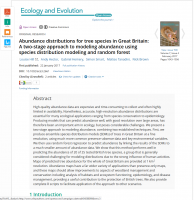 In terms of minimising the impact of the pathogen on ash trees within an infected woodland, current thinking is that the removal and burning of ash leaf litter may reduce the prevalence of the pathogen next year. This may be a practical action in high value sites, such as important biodiversity areas, parklands, garden trees or perhaps notable ancient trees. In larger ash stands clearly this may not be practicable. Felling of diseased trees. Advice is not yet clear on this issue. Note that finding resistant trees in the ‘wild’ will be very important in creating the foundation for a new population of trees resistant to the pathogen. Felling all ash trees in infected woodlands therefore, cannot be recommended. 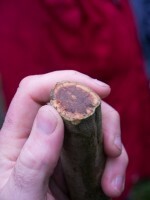 Before transporting ash wood, check the Forestry Commission webpage for the latest advice. Over the coming weeks the Government’s taskforce will be bringing together experts to build up a picture of the current status and the appropriate measures that we should be taking to try and reduce the impact of this devastating pathogen. Our Chief Executive, Dr Gabriel Hemery, is taking an active role in the taskforce and we will be providing up-to-date information here when available. 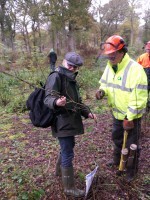 visit to Wayland Wood in Norfolk earlier this week. 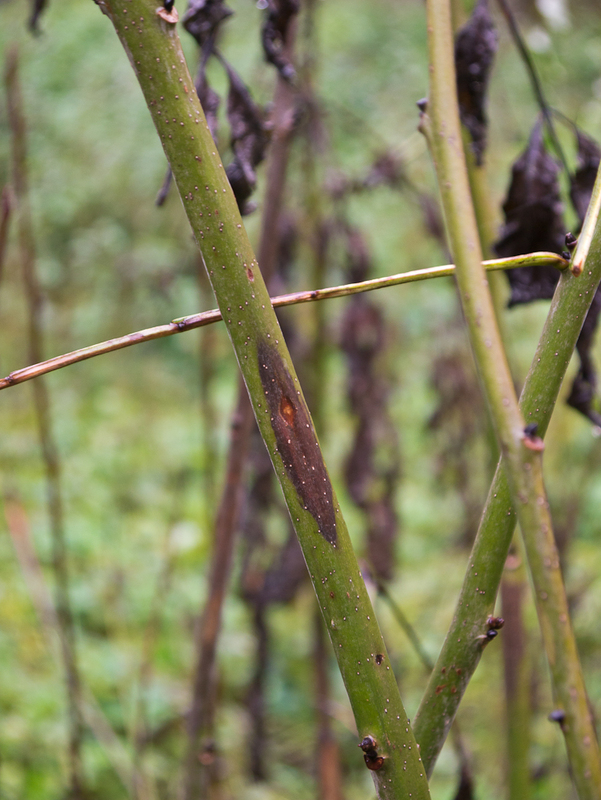 Chalara dieback of ash is a serious disease of ash trees caused by a fungus called Chalara fraxinea (C. fraxinea). 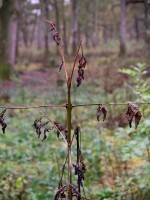 The disease causes leaf loss and crown dieback in affected trees, and it can lead to tree death. There has been significant media coverage about the arrival of this fungal pathogen in the UK over the last week and with good reason. It is potentially very destructive to our native Ash, as can be seen by looking at our European neighbours e.g. Denmark and Germany. For further information please follow the link to the Forestry Commission website below. We will aim to update this blog post with relevant information for woodland owners and forest managers as it becomes available.